Professor Reinelt is one of the most internationally respected academics in the discipline, receiving the Distinguished Scholar Award for lifetime achievement from the American Society for Theatre Research (2010) and the Excellence in Editing Award from the Association for Theatre in Higher Education (ATHE) in 2012. 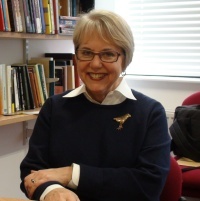 She has served a four-year term as the President of the International Federation for Theatre Research, the leading international academic organisation for theatre and performance studies. She is co-editor of the series Studies in International Performance for Palgrave Macmillan and an ex-editor of Theatre Journal. Her major area of interest is contemporary performance with an emphasis on contemporary British theatre, and international performance research and pedagogy. In May 2014 she was given an honorary doctorate degree from the University of Helsinki. 'Performance, Experience, Transformation: What do Spectators Value in Theatre?' (with Chris Megson), Journal of Contemporary Drama in English 4.1 (2016): 1-16. The Grammar of Politics and Performance (with Shirin Rai) London and New York: Routledge, 2014. 'What UK Spectators Know: Understanding How We Come to Value Theatre', Theatre Journal 66.3 (2014): 337-361. 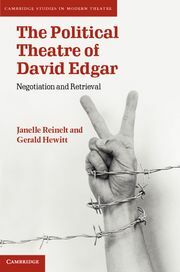 'Derrida and the Politics of Hope', Contemporary Theatre Review 24.4 (2014): 539-542. 'Zeitgeist', Contemporary Theatre Review, special issue on Alphabet: A Lexicon of Theatre and Performance 23.1 (2013): 90-92. ‘David Greig’, The Methuen Drama Guide to Contemporary British Playwrights, (eds.) M. Middeke, P. Schnierer and A. Sierz 2011, London: Methuen Drama, pp. 203-222. 'In Defense of Political Correctness', Theatre Research International, 36.2 (2011): 134-147. 'Rethinking the Public Sphere for a Global Age', Performance Research, 16.2 (2011), 16-27. Principal Investigator, AHRC funded grant on Theatre Spectatorship and Value Attribution. Oversight Leader in the collaboration between the School and the School of Arts and Aesthetics, Jawaharlal Nehru University, Delhi India. Co-Director, with Professor Shirin Rai (Politics, Warwick) of the Politics and Performance Network. Board of Directors, British Theatre Consortium, a not-for-profit cooperative dedicated to fostering dialogue between the profession and the academy. With spouse Jerry Hewitt, receiving the honorary doctorate symbols of hat and sword at University of Helsinki, May 2014.